Very fine bright green filaments, slimy to the touch, normally encountered during the colder months. 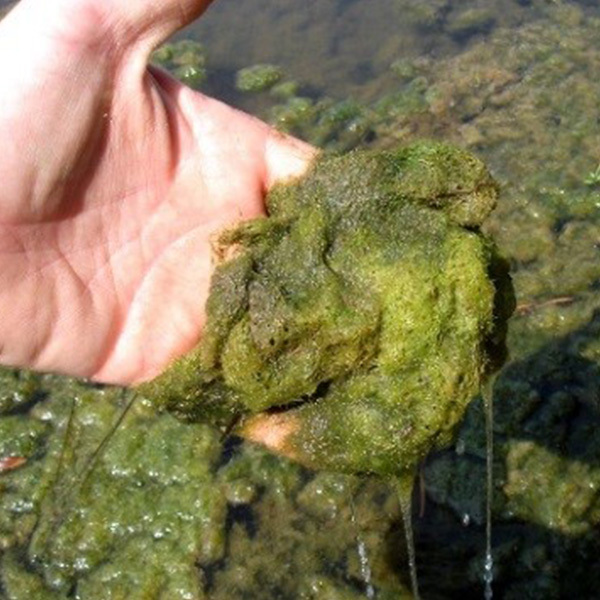 Often referred to as “horse hair” algae, very coarse and thread-like with a texture of steel wool. Normally brownish-yellow or brownish-green in color. 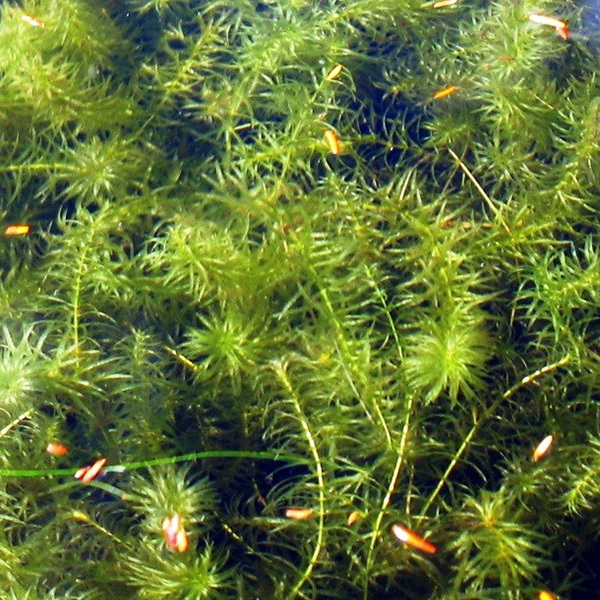 Forms dense clumps as it rises to the surface. 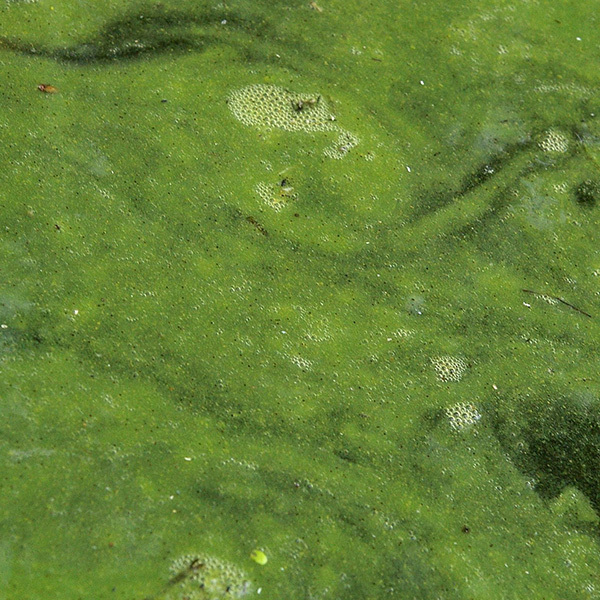 Common in farm ponds and nutrient rich ponds. Easily identified by septagon shaped cells. Net-like pattern in early matting stages. 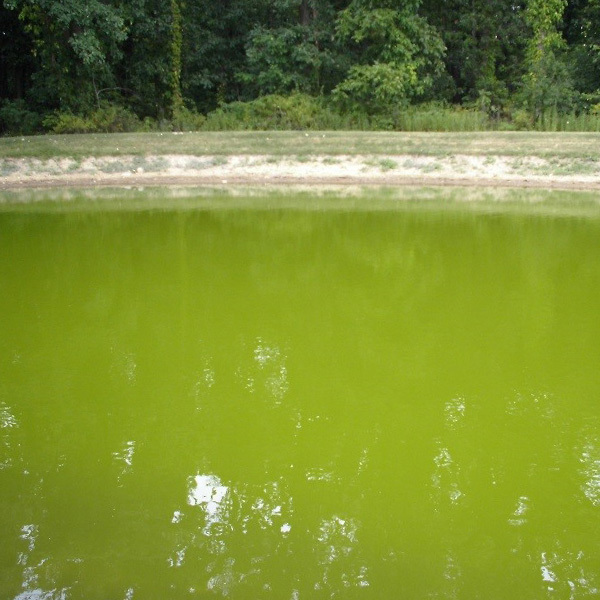 Normally yellowish-green, occurs later in the season, likes clean, eutrophic water. Long blue-green, unbranched filaments that oscillate naturally. 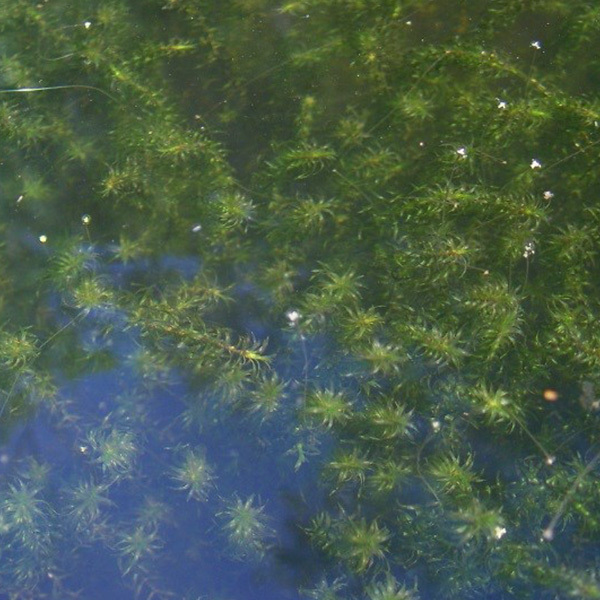 Common in ponds devoid of aquatic plants. 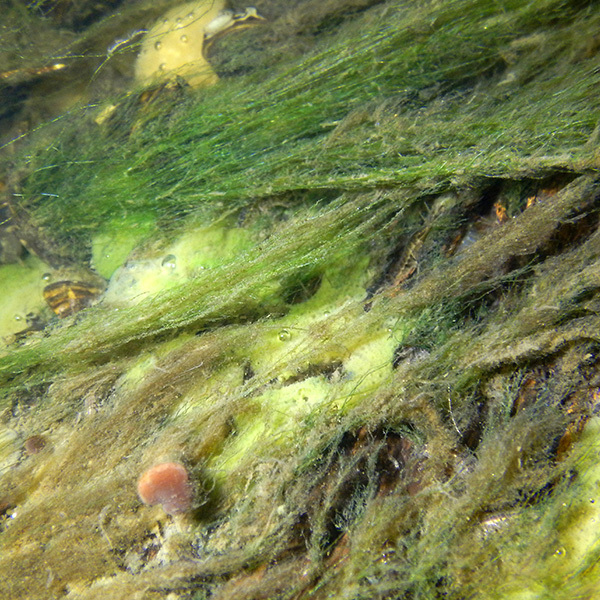 Thick muscelligenus, algae w/ attached leaves and silt make chemistry penetration very challenging. 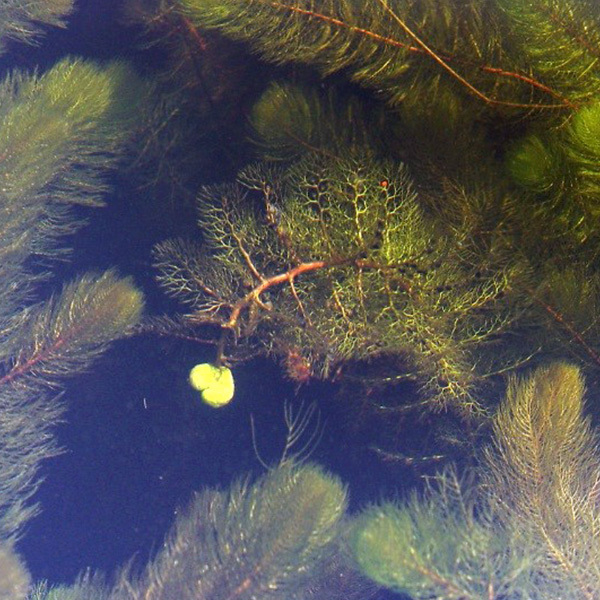 Microscopic free-floating plants. 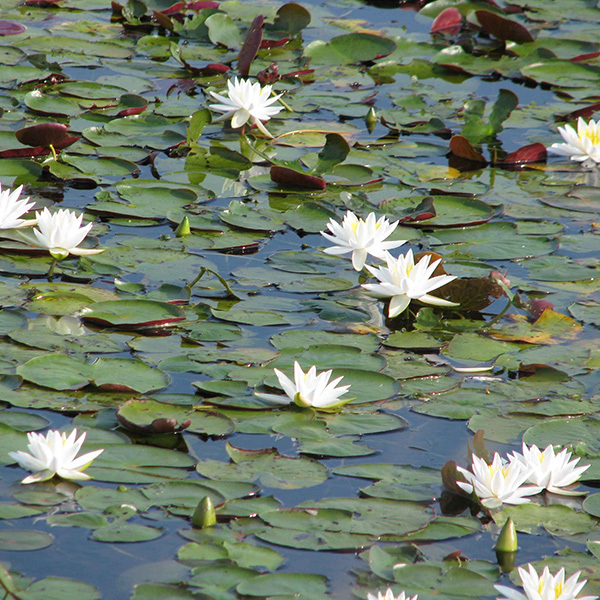 Blooms cause water to appear pea soup green or brown in color. 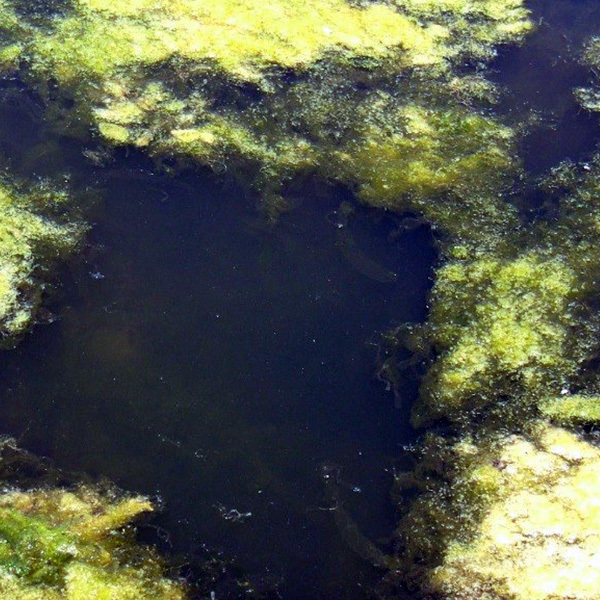 Can cause problems for fish if a sudden die off occurs. Extremely difficult to control. 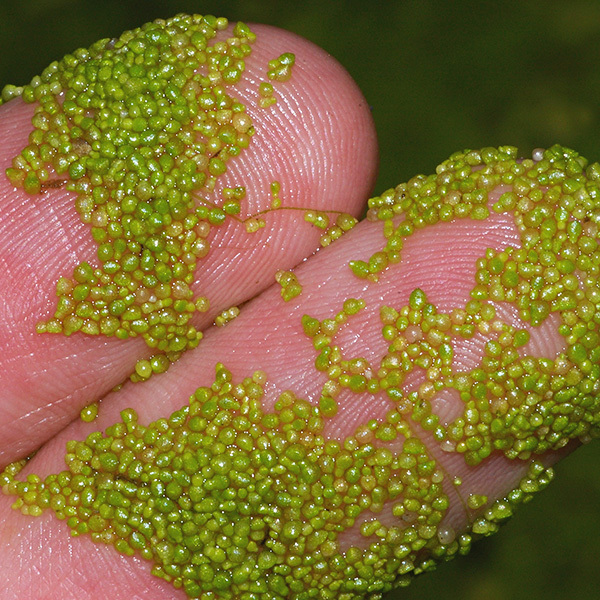 Microscopic in size, but in bloom proportions, will turn water a blue-green color and form surface scums. Some strains produce a toxin known as Microsystin which in abundance can be harmful to animals. Forms strands in bright green in color. In abundance will form surface scum. Toxin producer. Causes strong odor even in small numbers. Forms surface scum. Toxin producer. 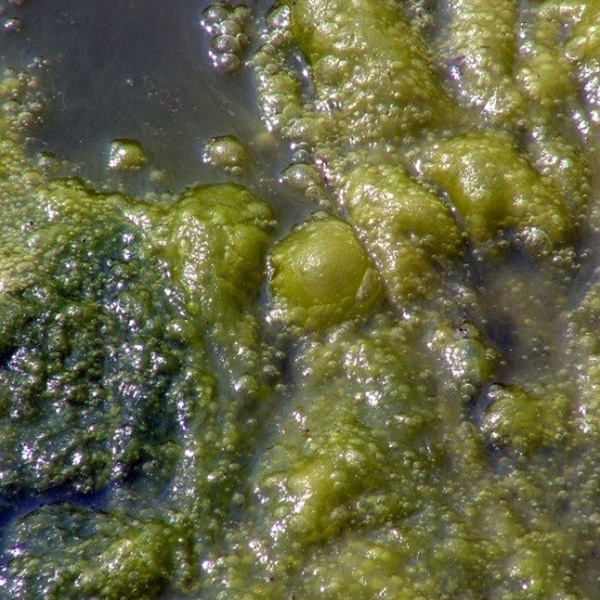 Has the most complex structure of all green algae. 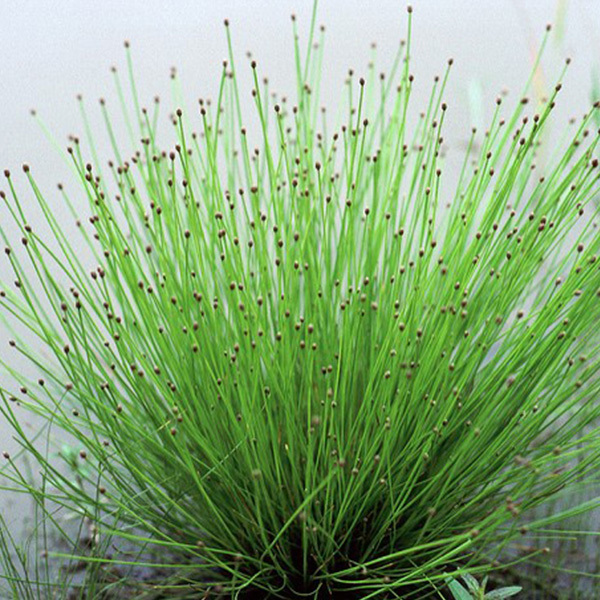 Often called stoneworts, skunkweed or muskgrass. Becomes encrusted with calcium carbonate with maturity. Has a “skunky” smell when crushed. 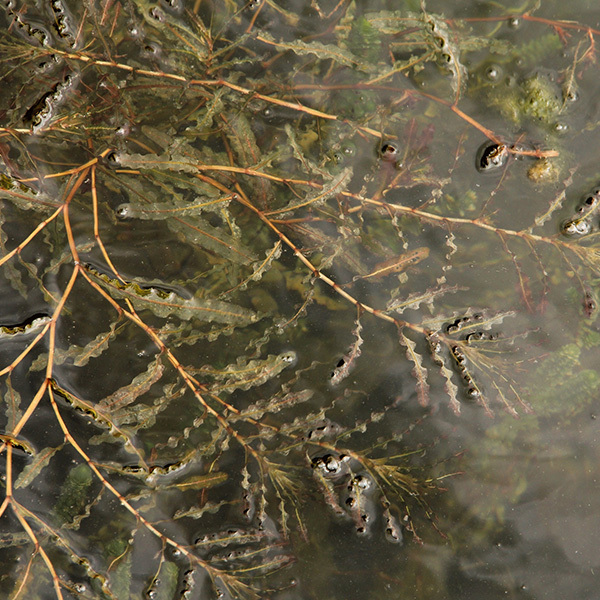 Easily confused with Naiad pond weed. 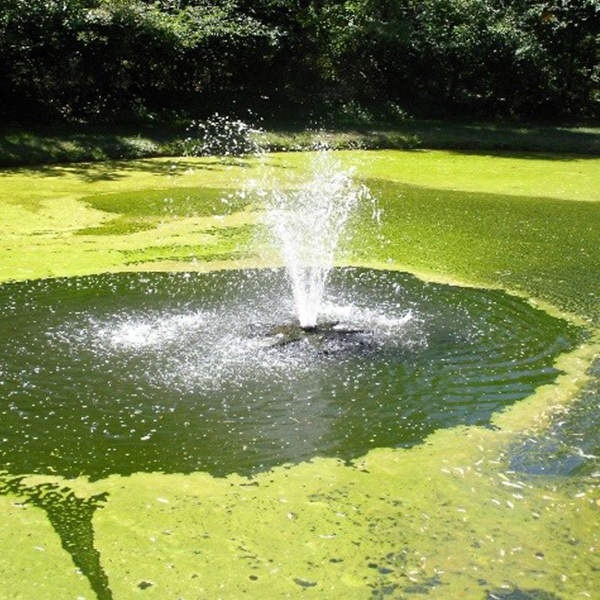 In managed levels, this algae acts as a great natural filtration system for ponds. Provides lots of dissolved oxygen, sediment stabilization, and fish structure. Very invasive exotic species of weed. 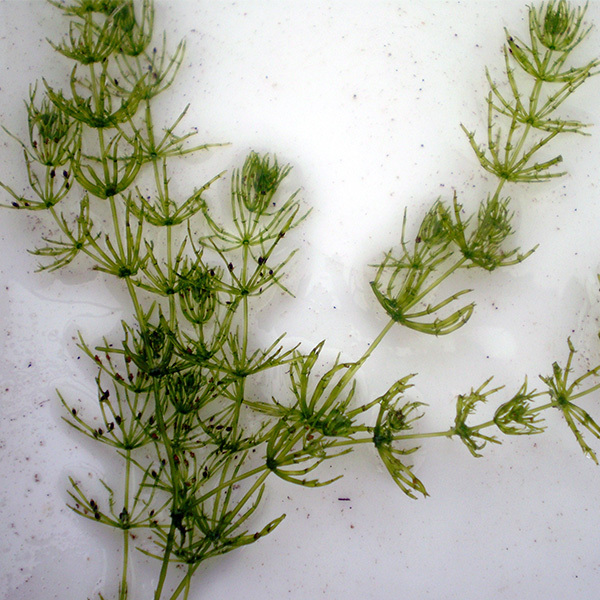 Grows in spring with cold water and will naturally die off when water temperatures approach 70 degrees. Very invasive exotic weed species. Rapidly disperses through fragmentation. Will form canopy. Very competitive and able to completely dominate a plant community within a couple years. Native species. 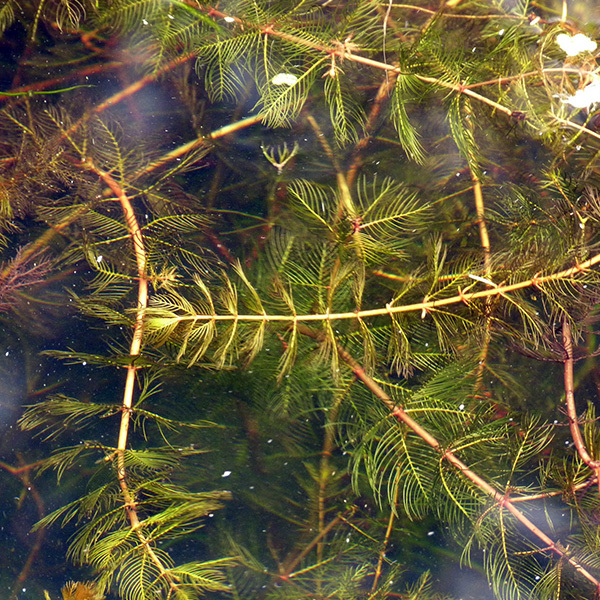 Distinguished from Watermilfoil by the forking of leaves rather than the feather like divisions. Will calcify later in season. 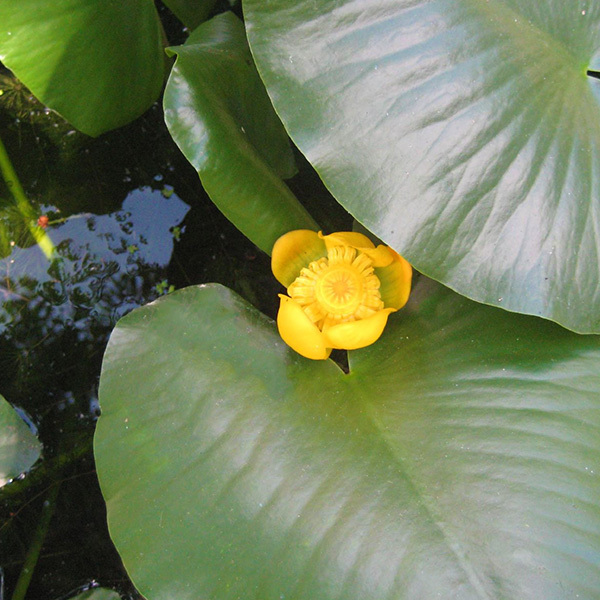 Leaves are wide and wavy with a broad base. Bush-like appearance with narrow thread shaped leaves. Nutlets are arranged like beads spaced on a string and emerge from the water. 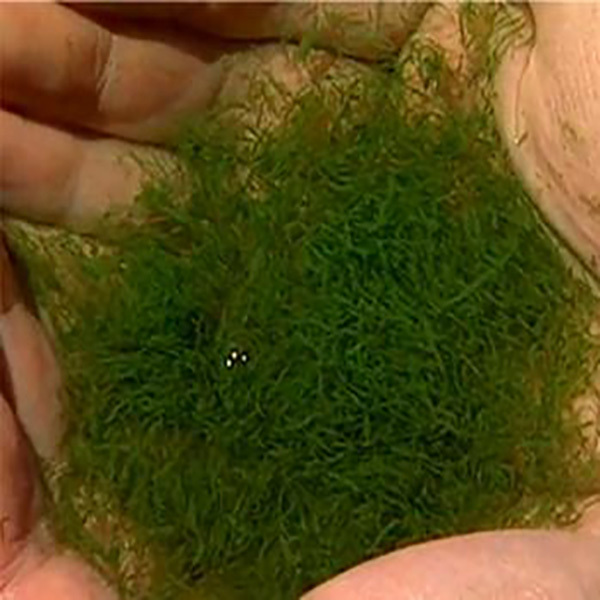 Brazilian Elodea is an exotic species transferred from aquarium industry. Will canopy, create plant monoculture & grows by fragmentation. Exotic species from Europe. Very invasive. 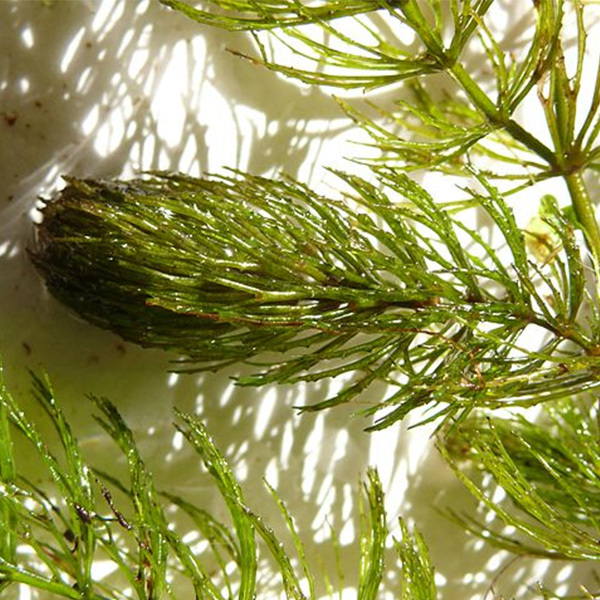 Grows in warmer water temperatures. Can grow by fragmentation. Can grow in nutrient poor water. 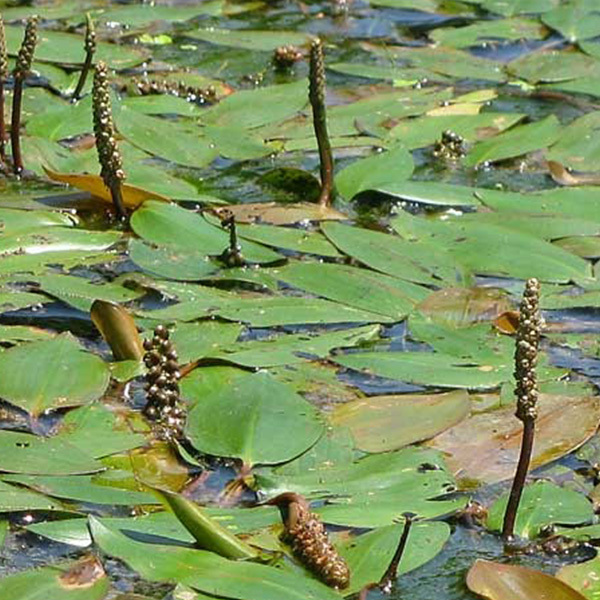 Free-floating plant with bladders. Very invasive exotic plant. Will out compete all other plants forming a monoculture. 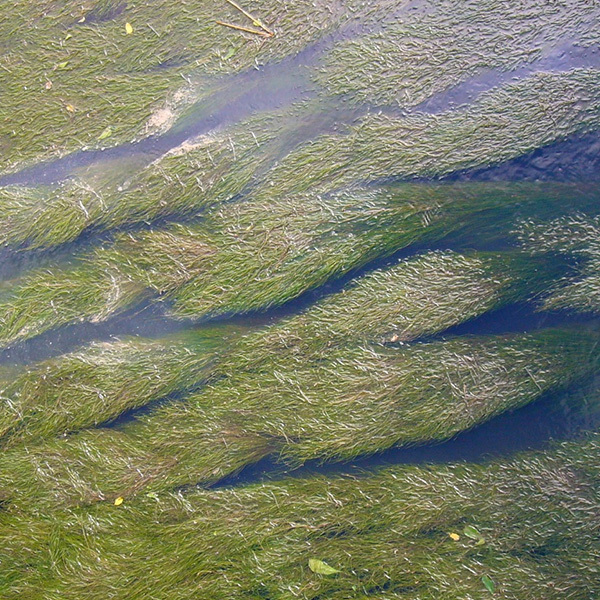 Provides poor fish habitats, clogs intakes, and disrupts recreational activities. Grows by fragmentation. 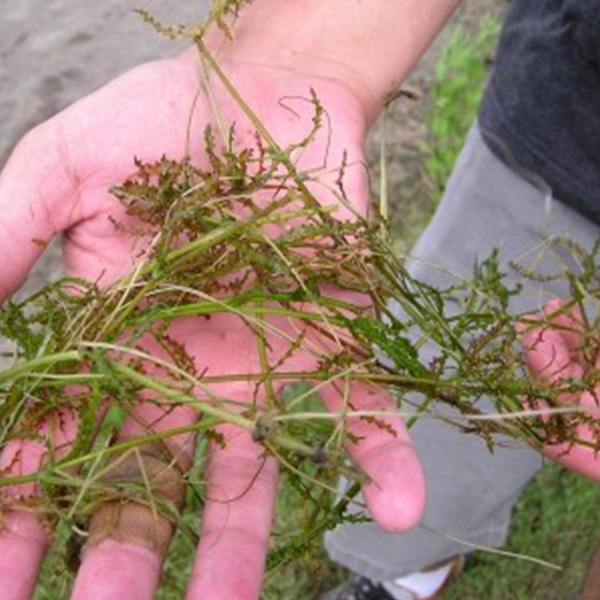 If you think you have this plant, please contact AQUA DOC or Cleveland Metroparks Invasive Plants immediately. 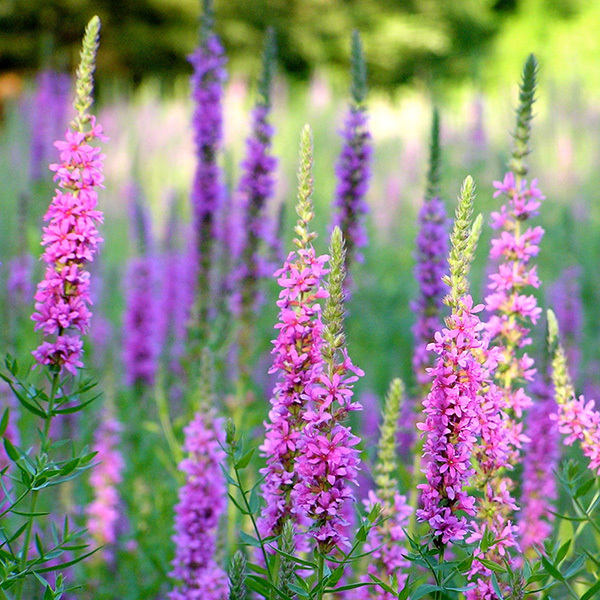 Native species of perennial plant. Provides excellent habitat for wildlife. Can spread quickly if not managed on a regular basis. Very aggressive growth. Not preferred habitat for birds or aquatic animals. This plant is easily identified by its bright purplish flowers set on a 4 sided stem with leaves usually found in pairs arranged oppositely. 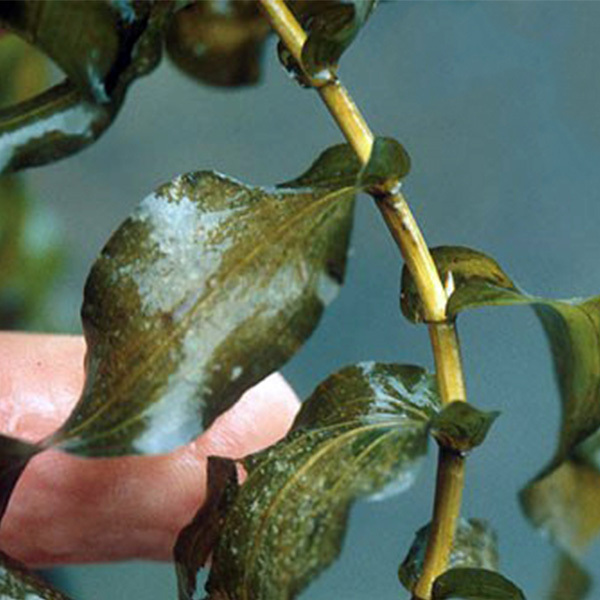 Can be difficult to control because ½ the plant is in water and the other ½ of the plant is above water. Prevents adequate coverage with herbicides. 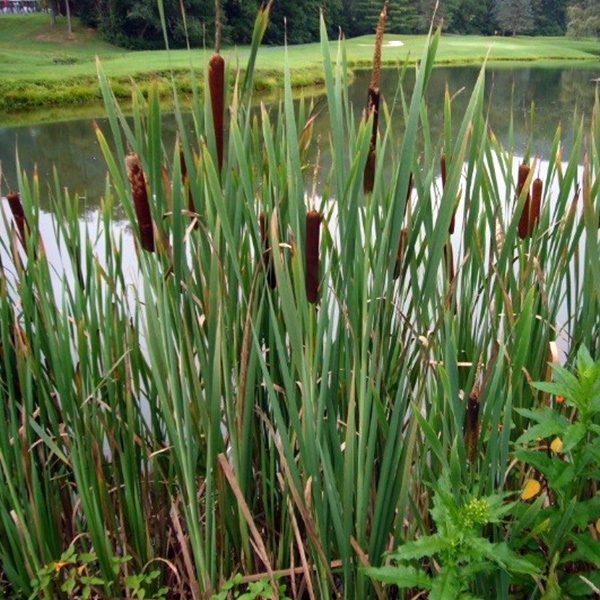 Best to treat mid-summer when pond levels are down. 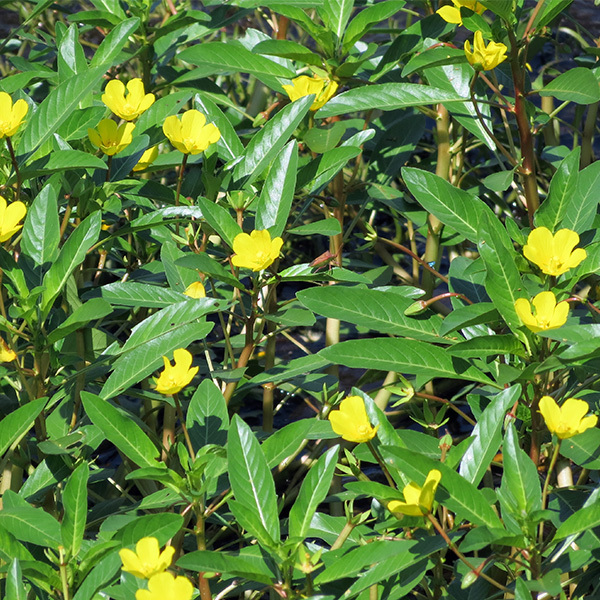 Relatively heart-shaped leaves that stand above the surface on thick, stiff stems, has yellow flowers in summer. 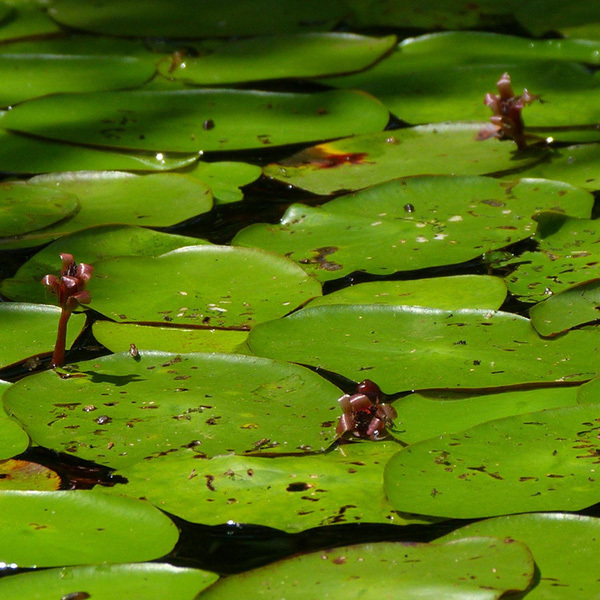 Large leaves that lay flat on the water’s surface. Leaves can be round or elliptical and could have a slit in one side. Commonly uprooted by amurs, muskrats & waterfowl then found floating. 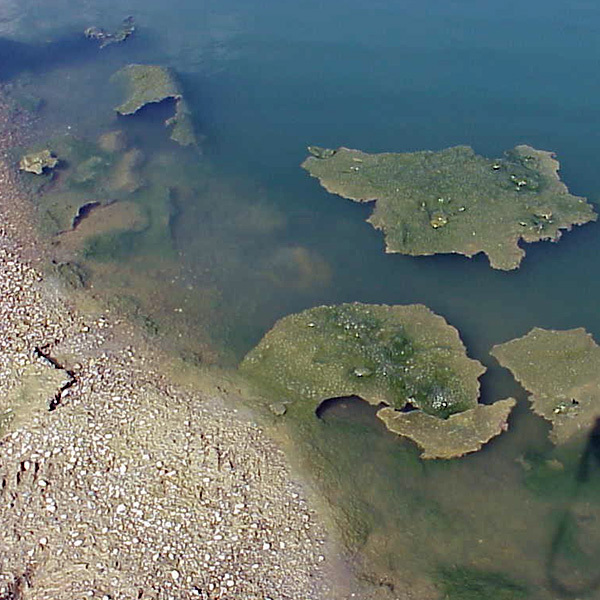 Difficult to control if plant is not entirely submerged or exposed. 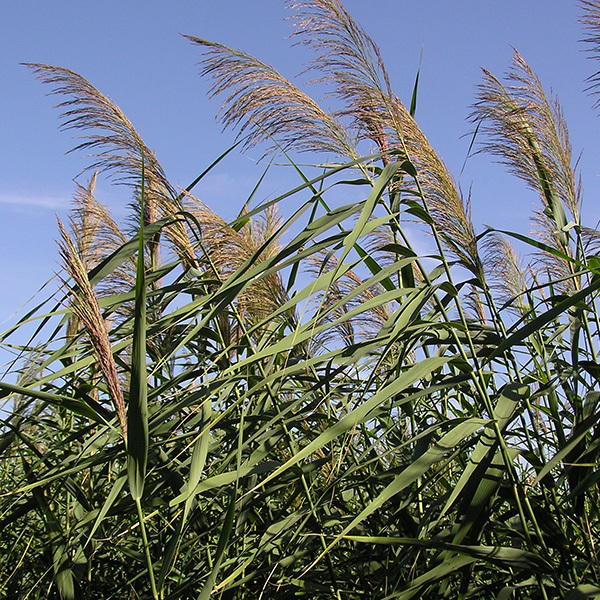 Once plant is uprooted, it cannot be killed with herbicides. Plant is desirable because it only grows a couple of inches in length and provides great shoreline and bottom stabilization. Leaves are oval, green on top and reddish purple on the bottom and the stem. Stem is attached in the middle of the leaf. Difficult to control because of the waxy leaf covering-must keep herbicide on leaf for control. Native species, usually do not grow to nuisance levels. Provides good fish and wildlife habitat. Smallest flowering plant. Rapidly spreads through budding. 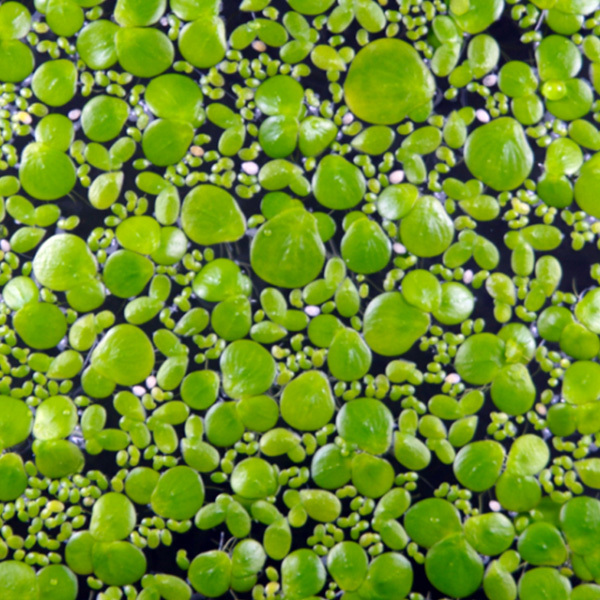 Thrives in stagnant, nutrient rich waters. Cousin to watermeal. Identified by three leaves with hair-like roots dangling below.